Two weeks ahead of their induction into the 2018 Rock And Roll Hall Of Fame, The Cars will release remastered and expanded editions of 1981’s “Shake It Up” and 1984’s “Heartbeat City” on March 30. Available on CD, 2LP and digital formats, the latest additions to the Boston band’s reissue series deliver the original albums alongside rare and unreleased songs, including demos, remixes and studio outtakes. The title track of The Cars’ fourth album, “Shake It Up”, earned the group their first US Top 10 hit while the project reached No. 9 on the US Billboard 200 on its way to sales of more than 2 million copies. Produced by Mutt Lange, “Heartbeat City” scored four US Top 20 hits, including a pair of Top 10s – “You Might Think” and “Drive” – with the set peaking at No. 3 on the US Billboard 200 while selling more than 4 million copies. Full track listings for both reissues can be found below. 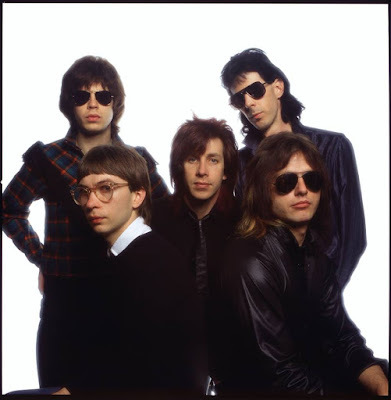 The Cars are among the list of artists set to be inducted into the 2018 Rock And Roll Hall Of Fame during an April 14 event at the Public Auditorium in Cleveland, OH. The Boston outfit are being honored alongside Bon Jovi, Dire Straits, the Moody Blues and Nina Simone, with Sister Rosetta Tharpe recognized posthumously with an Award For Early Influence.